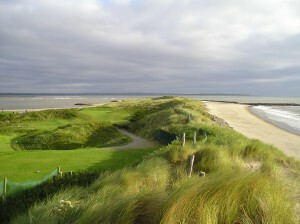 Ireland is undoubtedly one of the very best countries in the world in which to play golf. The scenery is spectacular, the roads are un-crowded, the Guinness is plentiful and the people are incredibly friendly. On top of all that, there are far more outstanding courses than the Irish know what to do with and so they’re more than happy to share them with visitors. Perhaps the only slight downside to playing golf in Ireland is the weather, which can be rather unreliable and is rarely as warm as the welcome visitors receive. The very best of whatever decent weather is going is frequently to be found in and around the south-eastern corner of the country. And so that’s where we headed for what proved to be a truly great week of golf. Just along the beach from Rosslare Harbour where the ferries from France and Wales dock, is splendid St Helen’s Bay Golf Resort. A glorious seaside course that takes full advantage of its splendid location right on the coast with some simply breath-taking holes by the water’s edge, magnificent views and an almost ever-present breeze to make a truly challenging course even more exciting. With numerous tropical trees carefully sited, the occasional historic wall built during the famine to provide work for the unemployed and a sprinkling of attractive water hazards, the course provides plenty of visual appeal. Just along the coast there’s a real gem which those with a real feel for golf’s rich heritage will certainly enjoy. Rosslare Links is a genuine links’ course from the tips of its sizeable tees, through its fast and undulating fairways to its wonderfully true but tricky greens. Blessed with all the authentic characteristics of golf amongst the dunes including tough bunkers, springy turf and the occasional unpredictable bounce, it’s tough enough that even the soothing sound of the surf won’t entirely settle your nerves. In between rounds you should take a little time and enjoy some of the delights that Ireland has to offer away from the course. It seems you’re never far from a castle and the historic towns of Wexford and Kilkenny offer much in the way of entertainment. Fishing is a popular sport and the Irish love their horses, particularly if they finish in front. And whatever you do it’s more or less compulsory to enjoy a pint or two afterwards. 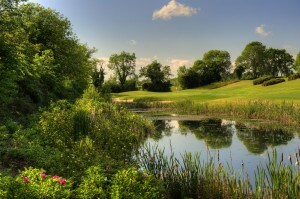 Right on the edge of town you’ll find the enormously attractive Wexford golf club. With plenty of elevation and no shortage of big boulders to punctuate the scenery, there’s much to admire about this well-maintained and appealing course. The Irish, of course, make their own rules and it takes a brave man to argue with them as they’re as good with words as they are at golf. Quite a few of the members genuinely believe Carlow Golf Club is a links course even though it’s a good way from the sea. With its fascinating dips and hollows, you can easily see what they mean even if you don’t necessarily go along with everything they tell you. As a general principle in Ireland, it’s not altogether a bad thing to be a little sceptical. We travelled quite a long way north for our final round. But it was well worth the effort as Knightsbrook Hotel and Golf Resort is right up there with the very best. 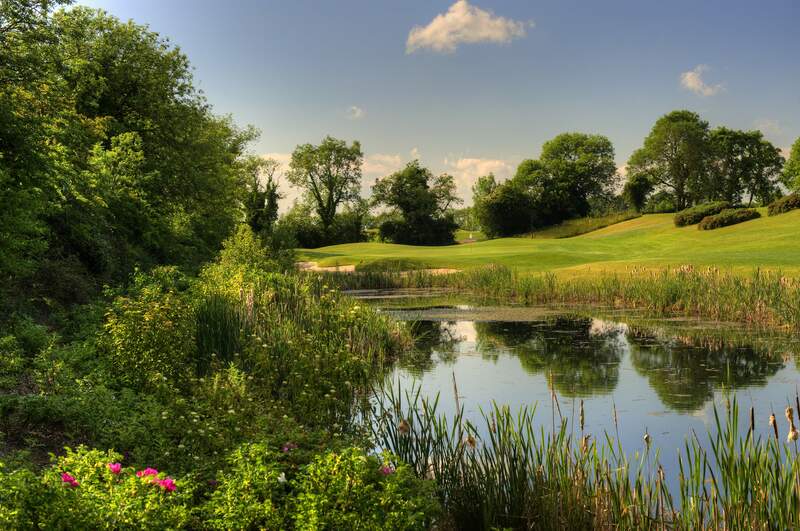 Close to the historic town of Trim and the beautiful River Boyne, it’s a joyous parkland course that leads you through what was once evidently a truly impressive estate and former home of Jonathan Swift, who wrote Gulliver’s Travels. The specimen trees and lovely lakes have helped create an atmospheric setting for what is a top quality course.